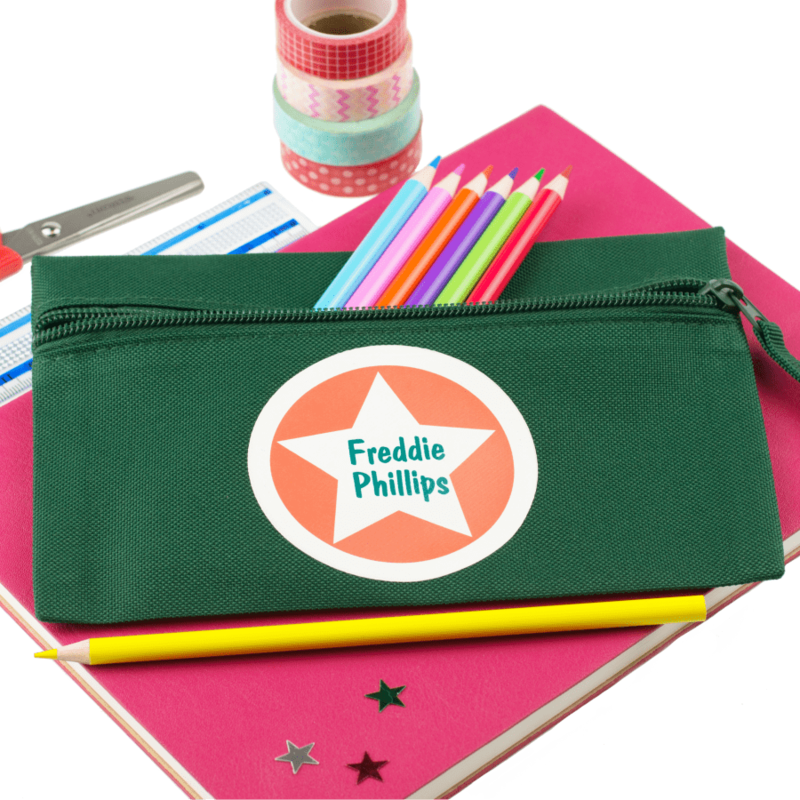 This super cool personalised star circle pencil case comes in a choice of pencil case colours and design colours. It's the especially ideal size for children starting school or indeed for using at home. The pencil case measures 21 x 14 cm. 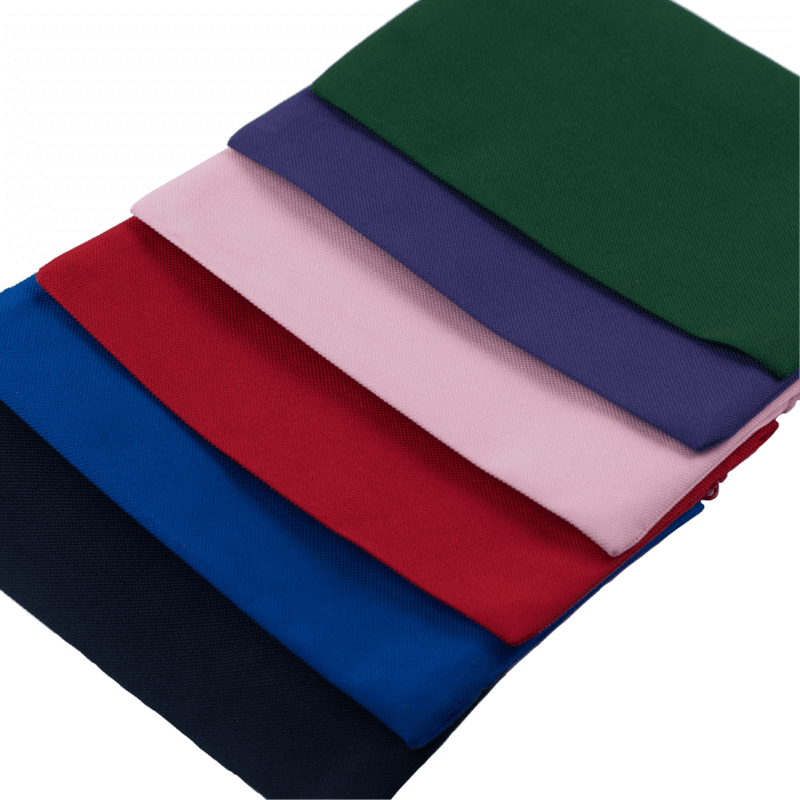 As a result of the pencil case being made from high quality polyester, it is super strong. This is especially important as it will last the the test of time with children.The case has a handy front zippered main compartment, making it ideal for easy access. 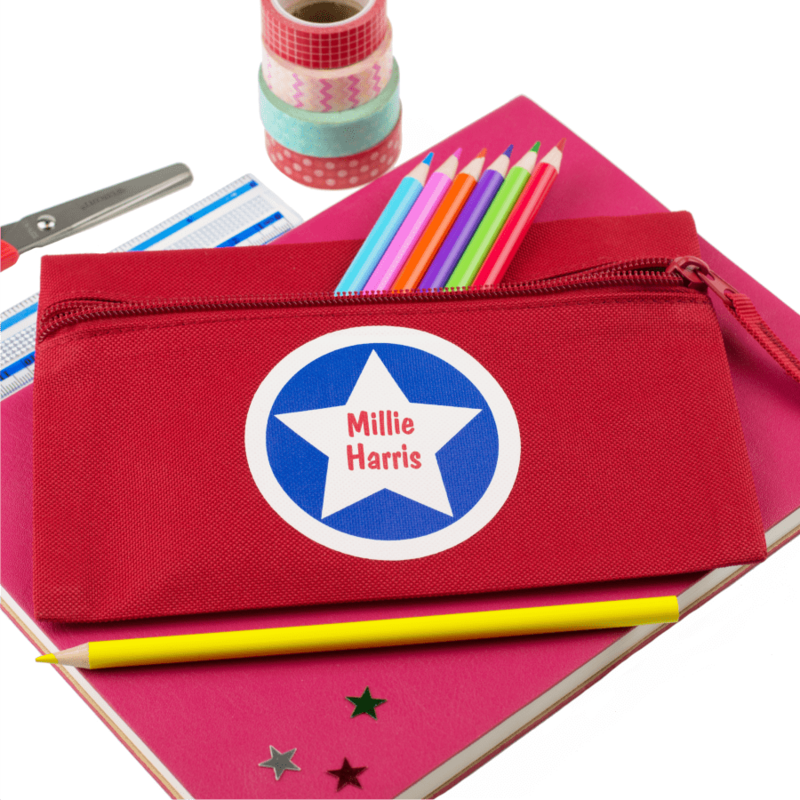 A personalised pencil case is essential for helping children to become organised. Now they can keep all of their colouring pen and pencils together in once place. With this distinctive clear font everyone will know exactly who the case belongs to. This design really is timeless and suitable for all ages. The design comprises of a coloured circle of your choice. Within the coloured circle is a white star. 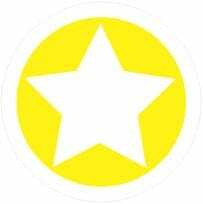 Your chosen name will be printed within the star. 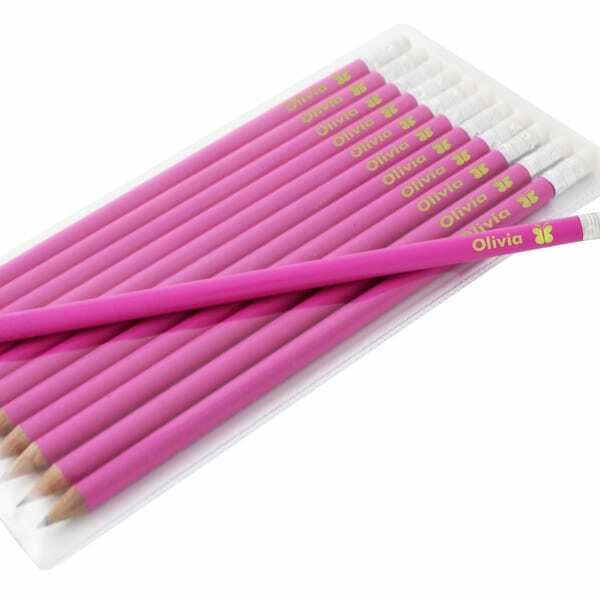 Customers chosen name will be printed in the same colour as your pencil case colour. The text will be spread over 2 lines and please be aware that the longer the name the small the print will appear. In addition to this personalised star circle pencil case this design is also available in Personalised drink bottles and lunch bags.